Fantastic early material from Lee Scratch Perry! 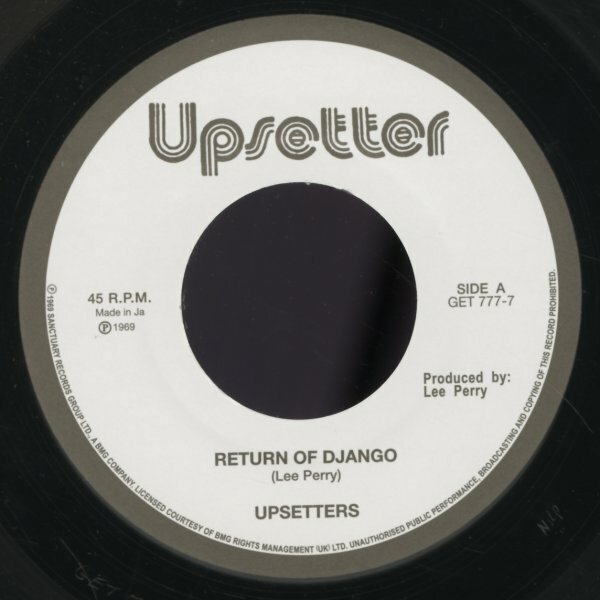 "Return Of Django" references the Italian western theme in the title, but the sound is pure Kingston, pre-Black Ark – with a wicked organ line bubbling and dipping throughout the instrumental – while a tenor gets all crazy and honky at times, and deeply soulful at others! "Dollar In The Teeth" has a groove that's maybe more conventionally ska/rocksteady – but the horns still get all nice and weird! © 1996-2019, Dusty Groove, Inc.